Missing teeth can be a serious threat to your smile confidence. If not replaced, missing teeth can compromise your chewing and speech abilities and even threaten your oral health. At ConfiDenT, we offer top quality dental treatments for rebuilding your smile after missing teeth, which includes providing custom dental bridges. 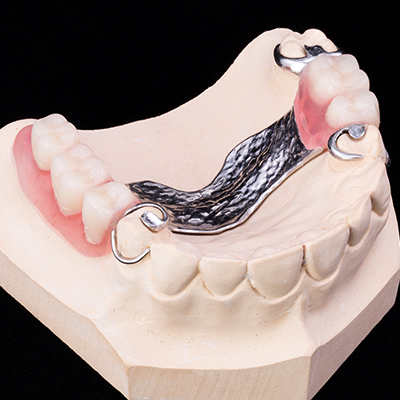 A bridge is typically used when there is a missing or non-restorable tooth that cannot be replaced with an implant. A bridge can successfully span the gap of a missing tooth or teeth and provide a natural and seamless blend within your surrounding smile. Our talented dentists are diligent in creating results that are not only functional but beautiful and comfortable as well. Your smile is a powerful asset, and we value the importance of restoring it with the highest level of care. 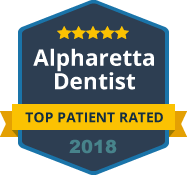 When choosing our Alpharetta practice for your custom dental bridge, you can expect superior, patient-centered care at every step. We will first prepare the adjacent teeth for crowns and fabricate a fixed dental prosthesis that replaces the missing tooth or teeth. Your bridge will be supported or anchored on either side by these crowned adjacent teeth. Our practice proudly offers top ranked options when it comes to bridge materials. We offer tooth-colored bridges made of porcelain or ceramic with a metal substrate, but we also allow patients to choose a newer, metal-free bridge option as well. Regardless of the location or type of dental bridge you choose, you expect your restoration to feel and look natural. Most of all, you can regain confidence in eating, speaking, laughing and enjoying life. To learn more about dental bridges or to schedule your consultation with one of our reputable dentists, please contact ConfiDenT in Alpharetta. We promise a rewarding experience!